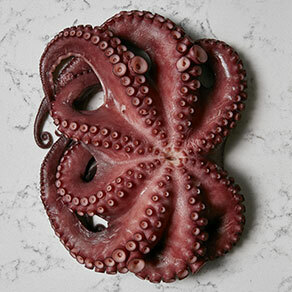 Octopus, basil pesto, olives create a modern update to a centuries-old dish. Try this unique rendition of couscous to experience an explosion of Mediterranean flavors in the comfort of your own home. The Sicilian cuisine is as diverse as the many cultures that have visited this plentiful island in ancient times. 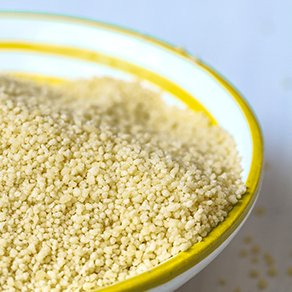 Couscous for example, a staple food of north African has long been part of the traditional cuisine of Sicily, so much so that there are festivals dedicated to it year after year. In Trapani, Sicily, a traditional couscous dish is prepared with a fish soup, and is called Couscous alla Trapanese. Full of the flavors of the Mediterranean sea, this is a perfect example of Sicilian cuisine – rich in its cultural diversity and bursting with fresh local flavors. A traditional Sicilian dish where the fragrant sea meets the plentiful sun-kissed land in a harmony that sings like the Mediterranean breeze. 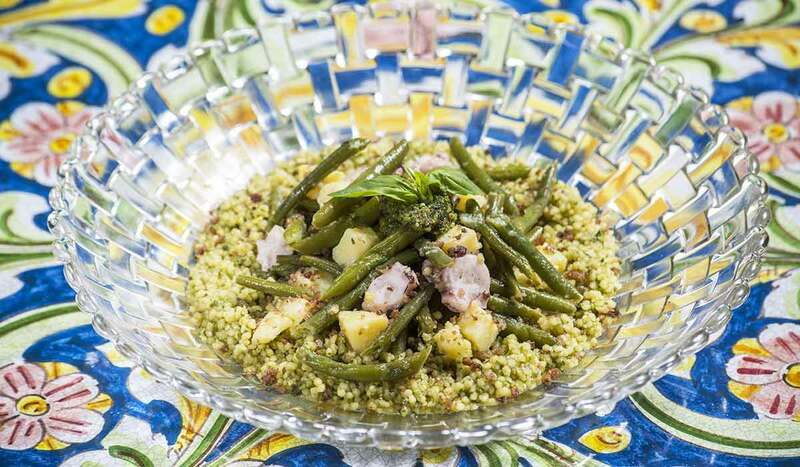 Small balls of semolina durum wheat form the perfect base to carry through the full flavor of octopus, accompanied by crunchy green beans and soft potatoes that all come together with aromatic basil pesto. Salty Ligurian olives lifts the flavors a notch, whilst never being overpowering. Stir in 2 tbsp of pesto in the couscous, set aside. Place the bread along with the olives (well-drained) in a food processor and blitz until it resembles small bread crumbs. Chop the octopus into bite size pieces. In a medium bowl, combine the octopus, beans and tomatoes, season with salt and pepper, add the olive infused breadcrumbs and combine well. Divide the couscous among two plates. Add the octopus and vegetable mixture. 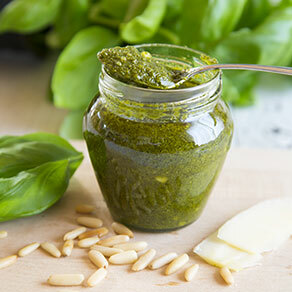 Top with a dollop of the remaining pesto. 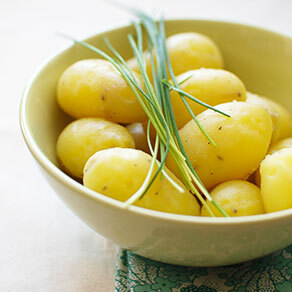 Decorate with fresh basil and serve immediately. In more traditional preparations, couscous dishes are baked in a terracotta bowl with floral decorations, the tagine, or the "pignatta di cùscu-su", as it is called in Trapani dialect.